Our company leading the sector was established in Ankara in 1965. Since its inception, product variety and quality standards on its way to becoming the leading company in the World market principle. Our factory facility SCTURBO FILTER brand oil filter, fuel filter, hydraulic, water filter, air conditioning and ventilation filters, industrial type of oil/fuel filters and separators and air filters manufactures. Separate and distinct bands, each of the products are manufactured in the technological conditions and error-free serial. 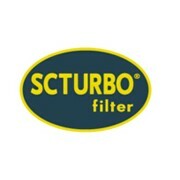 Industrial group and filters used in sea and air vehicles for the private area. Domestic and overseas sales of products produced by our company is costumer oriented perfection as well as custom packaging and fast dispatch system provides customers with better service. Production of the paper products and metal parts used in the first test phase is produced by examining the R&D department control is passed after the passing of staff.